The anxiety about the plastic volume growth in the oceans tends to grow, and although we have seen attempts to eliminate this debris and reuse it, we still have only one conclusion: it is necessary to work for minimizing (or replacing) plastic. LOLIWARE, the New York startup, proposes to reduce the amounts of garbage made of plastic on their own example using disposable biodegradable straws. The enterprise has already gained the needed experience in their previous development of edible cups, as well as manufacturing straws, produced mainly from algae. It was called LOLISTRAW. The developersteam chose algae as a friendly alternative to the plastic because of its fast growth and ability to absorb CO2 when growing. Another reason is that consumers may not chooseeating the straw after drinking, but simply throw it in the trash for organic substances, where it is quickly broken, and became the subject of effective composting. LOLISTRAW is going to be presented in different color shades and tastes. In the company’s future plans are straws strengthening with extra nutrients to force consumerseating them. 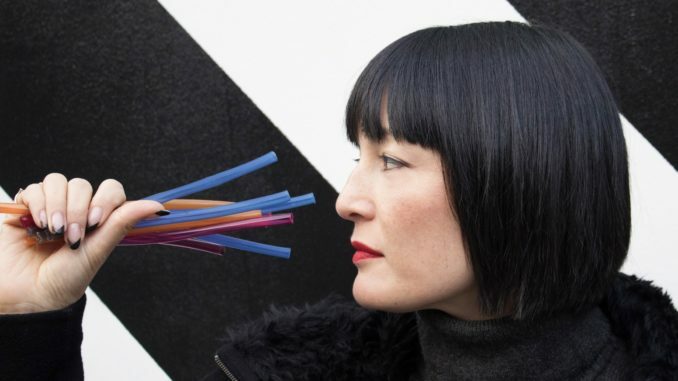 Meanwhile, the product maintains the classic look of a regular straw made of plastic, with longevity and ability be used in different beverages (test results demonstrate that such strawsmay be used for drinking during 24 hours, and have a 2-year shelf life). Currently, LOLISTRAW runs on Kickstarter with a planned date of sales start in August 2018, and the starting packages from $10.